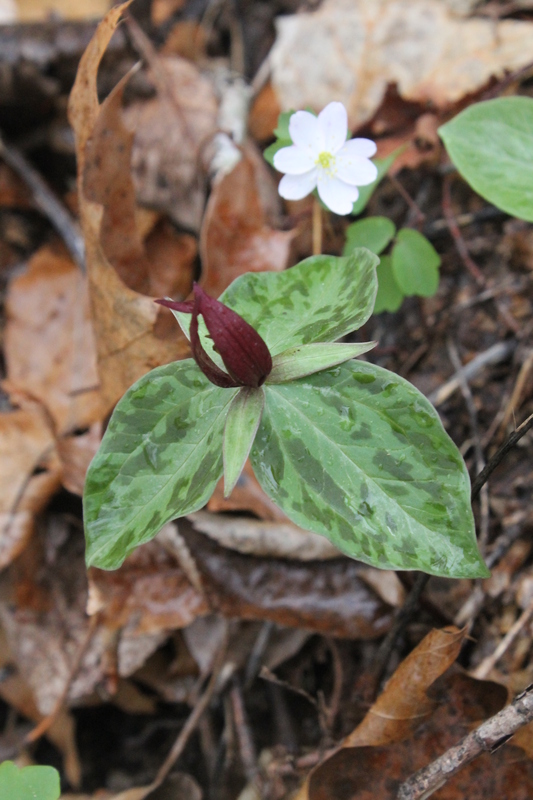 Another plant that really threw us for a loop were the populations of dwarf Trillium sessile. These plants all topped out between 2″ and 3″ tall…totally unlike any of the other Trillium sessile that we’ve ever seen. Very cute! This entry was posted in Plant images from the garden and nursery and tagged Trillium by Plant Delights Nursery. Bookmark the permalink.